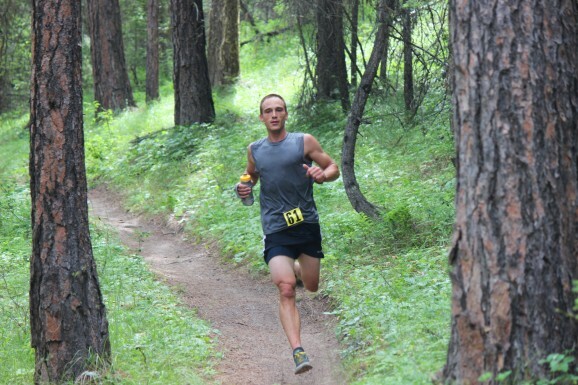 CASHMERE — Anthony Skierkiewicz came hurtling down the path Sunday with about a mile to go in the Red Devil 25-Kilometer Trail Run, in hot pursuit of leader Peter Graf who had disappeared out of sight. “How far is that guy ahead of me?” Skierkiewicz shouted to a couple spectators. Before they could answer, “About 40 yards,” the Wenatchee athlete swept by, showing no ill-effects from the long-distance run in the Wenatchee National Forest nor Sunday’s warm weather. It was a sign of what was to come. 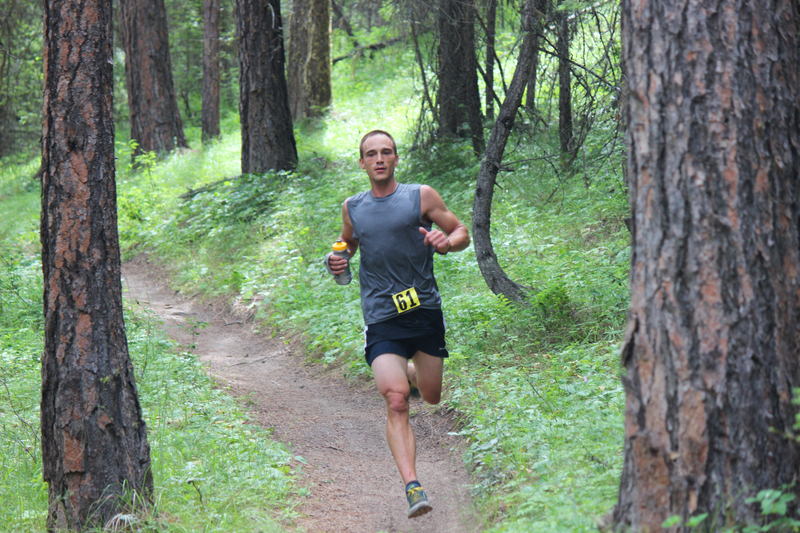 On the course’s last turn — with about a quarter-mile to go to the finish at the Sandcreek Trailhead — Skierkiewicz surged past Graf and never looked back, winning the coveted Red Devil title in 2 hours, 6 minutes and 23 seconds. Graf, from Cashmere, was second in 2:07:05. Cashmere’s Barry Hodges was third in 2:10:01. The Red Devil women’s 25K race was far less dramatic. Ellensburg’s Jody Chinchen captured the title in 2:26:09, defeating four-time defending champ Marlene Farrell of Leavenworth by more than 3 minutes in the process. 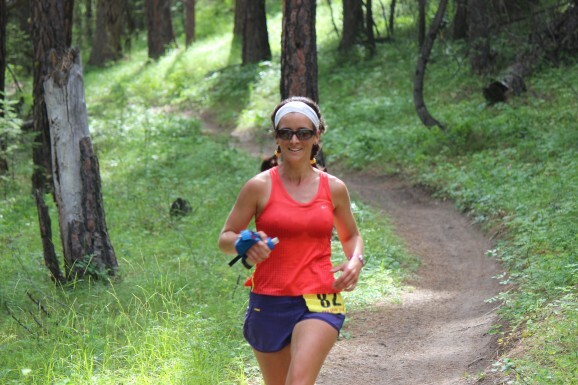 It was Chinchen’s second win in the Volyn Law Wenatchee Valley Trail Run Series, following her victory in the Horse Lake Women’s Half-Marathon Trail Run on May 9. Farrell, racing for the first time since suffering a broken ankle last fall, was clocked Sunday in 2:29:24. A year ago, she covered the course in 2:14:18. Third was Wenatchee’s Selina Danko in 2:35:39. In the Red Devil 10K race, Wenatchee’s Doug Wood took first in 45:57, three weeks after taking third in the Horse Lake men’s 5-Mile Trail Run. 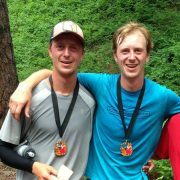 He was followed in the race Sunday by Will Young of Cashmere (46:48) and Phillip Hochwalt of Wenatchee (46:49) . Wenatchee’s Sarah Barkley won the women’s 10K in 50:52, her second triumph in the Wenatchee Valley Trail Run Series (she was first in the Horse Lake women’s 5-Mile Trail Run). East Wenatchee’s Marisol Galeana took second in 57:39. Wenatchee’s Hayley Grant was third in 1:00:15. For complete results, click here or see below. A record 202 people registered for this year’s Red Devil races, which also included an untimed kids run. The previous record was 151 registrants, set in 2013. This year also saw a record 178 finishers. A year ago, 127 participants completed the courses. 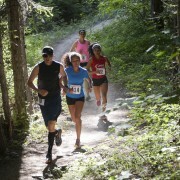 The 25K course features about 3,000 feet of elevation gain. The 10K has about 1,000 feet of elevation gain. More than 30 volunteers were spread out along the two courses. “We had an amazing turnout and things went very smoothly,” said race director Joel Rhyner of RunWenatchee, which puts on Red Devil and the Trail Run Series. “Moving the 25K up an hour helped and the intermittent cloud cover kept temperatures down.